Both species of beautiful blue birds rely on hard-to-find cavities or nest boxes to raise their families. And right now the race is on for available nesting spots. 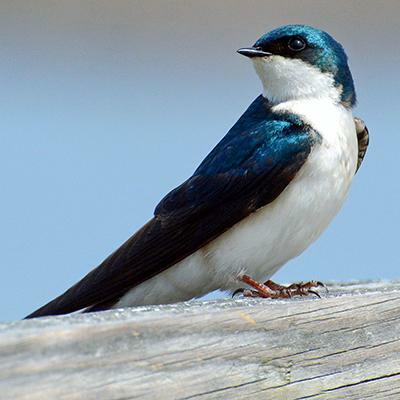 Tree Swallow populations are in decline in part because they need cavities or special boxes for safe nesting. Hear more about the particular needs of these birds from our friends at BirdNote. You can either make your own nestbox or buy one designed specifically for these birds.